The primary responsibility of the Software Development Intern is the development of software in the support of Experian business processes by using the appropriate tools as defined by the requirements within the specific technical environment. The Software Development Intern will be responsible for providing technical solutions using the available tools to facilitate the process; will provide analysis of assigned requests, and will test, debug, troubleshoot, implement, and document modified or new code. This position will support product and internal business systems. Codes programs in one or more programming languages, for a specific assigned software system or systems. These may include PC, Web, or mainframe-based development tools. Maintains and enhances existing code, perform software testing and participates in implementation. Tests and debugs programs to ensure precision and efficiency of coding. Troubleshoots and reviews all custom applications. Writes and maintains clear and complete documentation of program functions and modifications. May determine appropriate web technologies to utilize, such as browsers, languages, and plug-ins, based on company needs and objectives. Works with internal staff, external customers and data suppliers to define requirements. Ability to apply logic skills providing solutions for assigned projects. 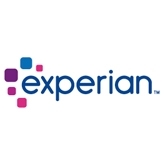 Experian is the leading global information services company, providing data and analytical tools to our clients around the world. We have always believed that data has the potential to transform lives and create a better tomorrow. We are transforming data into something meaningful: helping businesses to manage credit risk, preventing fraud, targeting marketing offers and automating decision making. We have been named one of the “World’s Most Innovative Companies” by Forbes for 5 years in a row, operating at the center of Big Data since before the phrase was coined. Few companies can offer information services on an equivalent scale. We support clients in more than 80 countries and employ approximately 16,000 people in 37 countries.